The brilliantly named Phoenix Broodmare Farm sales graduate and now bargain buy, Free of Debt is right on target to challenge his higher-priced counterparts in next month’s $1.5 million Group 1 Blue Diamond Stakes. The unbeaten son of the ill-fated Three Bridges Thoroughbreds stallion Unencumbered isn’t among the entries for the Caulfield two-year-old feature just yet but another bold showing in three weeks’ time will certainly persuade his connections to part with a $55,000 late nomination fee. The promising youngster continues to put forward a compelling argument for his inclusion after backing up a debut win on his home track at Morphettville with victory in the Duane Rogers Plate at Flemington. “He had some handy horses behind him in Adelaide and again at Flemington, including Lindsay Park’s highly regarded Fastnet Rock colt Viking Warrior, so he deserves his chance,” trainer Chris Bieg said. Free Of Debt was bought out of Phoenix Broodmare Farm’s Magic Millions Adelaide Yearling Sale draft by Beig for $30,000. “This colt ticked all the boxes on breeding and he’s a beautiful mover and a really athletic sort. 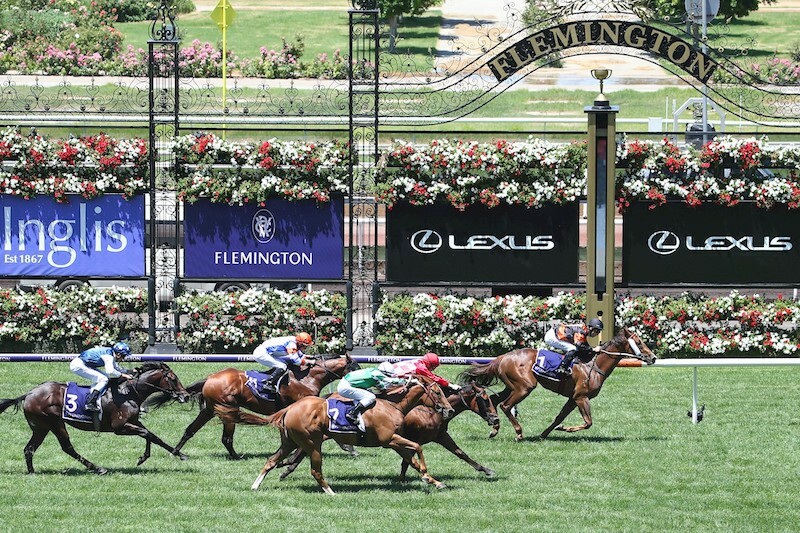 It’s pretty exciting to be talking about the Blue Diamond in the winners’ bar,” Beig said. From the second of four crops left by the Magic Millions two-year-old Classic winner Unencumbered before his untimely death in March last year, Free Of Doubt is the third winner from four to race out of the Melbourne winning Giant’s Causeway mare Stagerush, who is from the family of the Group 1 winners and successful sires Scenic (IRE) and Rainbow Quest (USA). Stagerush was purchased by Victoria’s Greta West Stud for $22,000 at the 2009 Inglis Great Southern Sale. Stagerush has a yearling filly by Keep The Faith and a filly foal by Master Of Design. Phoenix Broodmare Farm’s Damian Gleeson remembers him well as a yearling, being a very nice type but having his ‘quirks”. Phoenix Broodmare Farm is currently busy prepping ten yearlings for the upcoming Melbourne Premier sale at Oaklands Junction. Phoenix are having a good run of late with Beers with Clint who is also a sales graduate, only a narrowly missing a win at Flemington, and after Premier it doesn’t stop, with eight weanlings being set for the Magic Millions National Sale.